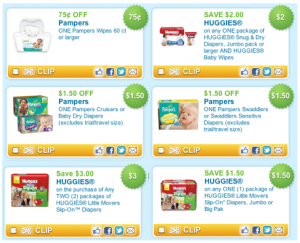 Tons of Baby & Diaper Coupons, $12.25 Worth! Coupons.com has a ton of baby and diaper coupons you can print out right now! You can find these using zip code 77477.